As much as I love the Memoria Press classical Christian curriculum packages, there are times when you can’t work from one core. That’s where we are now with my boys. 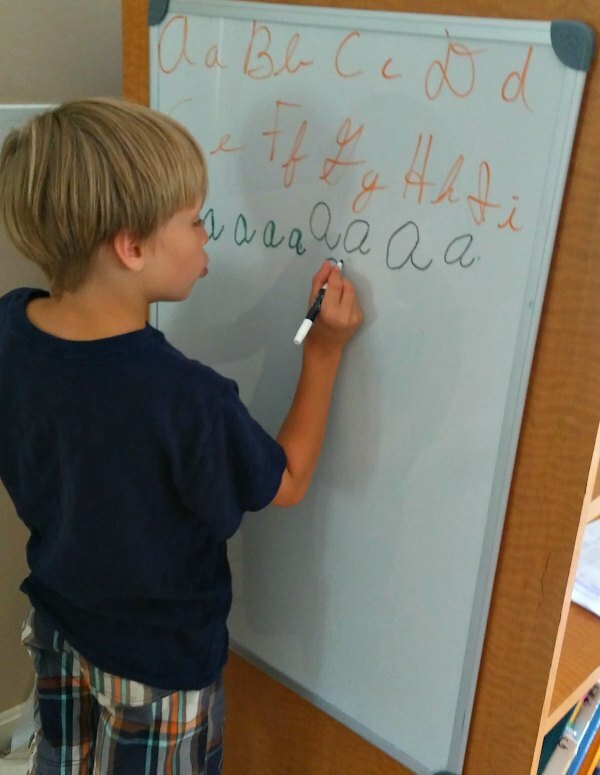 Currently, we’re dealing with an unofficial diagnosis of dyslexia and dysgraphia for them. They struggle with reading and handwriting, but their oral comprehension is spot on. I let them soar in math, since it comes so easily for them. This year, we’ll be working primarily from the Simply Classical Level 2 core. Our Enrichment comes from the Kindergarten core, while our math is from second grade. If you’ve got a child who isn’t progressing as he/she should, a few things to keep in mind. First, strike the word behind from your vocabulary. Stop saying should. 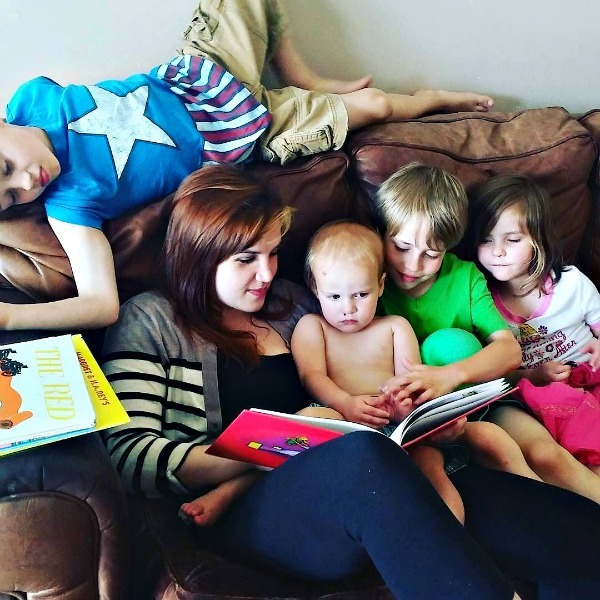 Part of the beauty of homeschooling is being able to meet your children WHERE they are. Please don’t rush them through programs according to an arbitrary timeline. Some children mature differently, and some need some extra assistance. If you’re concerned about your child, consider getting some help. So far, we’ve dealt with speech therapy and occupational therapy. Soon, we’ll add vision therapy. It’s a lesson in patience and grace for me. 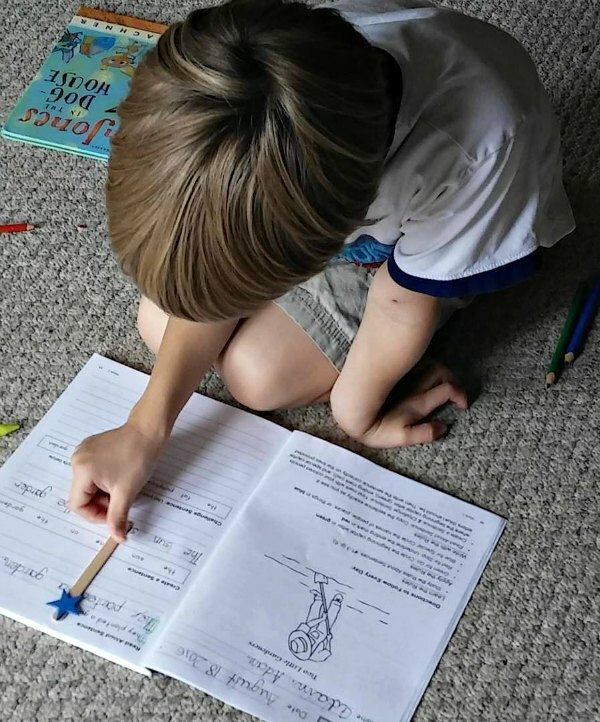 Don’t overlook the beauty in your homeschool. My boys have difficulty reading, but their comprehension is amazing. I make reading beautiful literature aloud a priority. They may not be able to read Mr. Popper’s Penguins, but they can snuggle with me on the couch while I read it to them. Because of my boys’ reading issues, we opted to go with a strict Orton Gillingham approach to reading. I absolutely adore First Start Reading from MP, but my boys needed a different path. We’ve gone with the Barton Reading and Spelling Program . It’s slow, systematic, and just what my guys need, even though it’s not my favorite. I’m hoping to be able to transition back to Memoria Press for phonics and reading in the spring. In Simply Classical Level 2, students finish up First Start Reading and move into Simply Classical: Storytime Treasures. Here, they read classics like Little Bear and work on vocabulary, comprehension, sequencing and more. We’re actually going to use the instructions from SC Spelling with our Barton Spelling words. Like I mentioned before, this is an area where my boys struggle. After they had an OT evaluation, we learned that they have issues with hand strength. They also need work on in-hand manipulation and bilateral coordination. Between weekly visits to OT, we do exercises at home to build up their strength. With handwriting, we use a slow and steady approach. 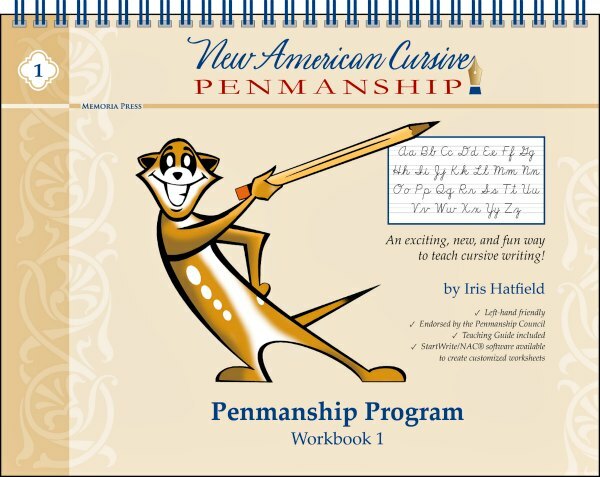 Usually, Memoria Press recommends that students begin cursive in the first grade. I waffled on that last year. I thought that they needed to be able to write better in print BEFORE they began learning cursive. Here we are a year later, still with some of the same issues. I realize that going ahead and learning cursive now will be beneficial to my boys. We’ll start in a few weeks, with the plans from the Simply Classical Level 2 Core. The multi sensory approach is tailor made for my guys. 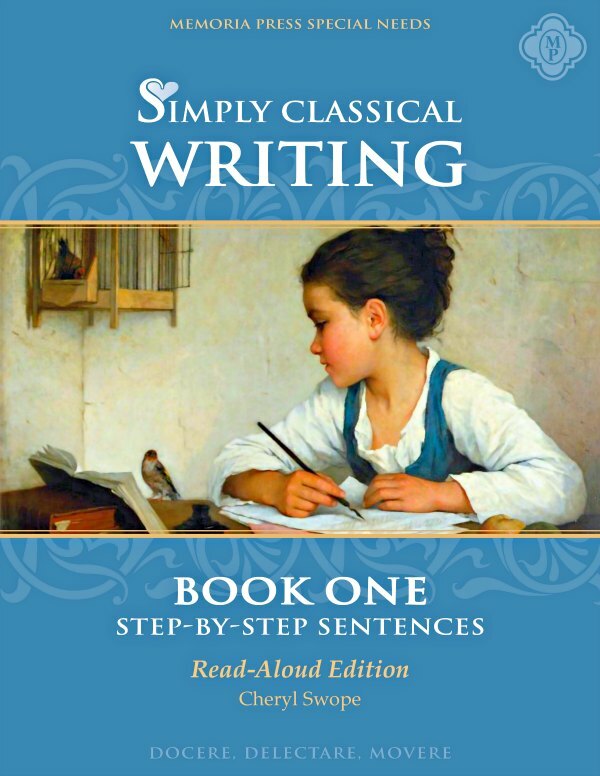 I couldn’t wait to check out the Simply Classical writing program in person after seeing a sample. After looking at it in July at the Sodalitas Gathering, I’m completely hooked! There are two editions available – Read Alouds and Bible. We’re starting with the read aloud version first, and we will add the Bible edition if our boys need more practice. Luckily, there’s one area I don’t stress about with the twins. 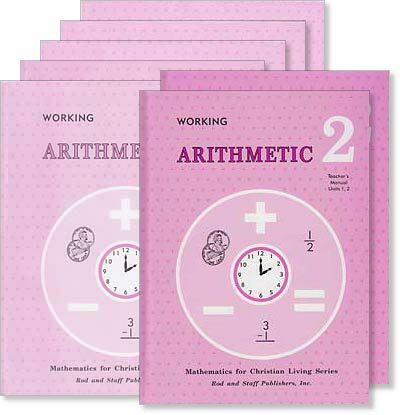 They adore math — even to the point of taking their workbooks to bed and doing extra late at night. We’re huge fans of the Rod and Staff program that Memoria Press uses. I love its clean, clear directions and simple script. No distracting cartoon characters or gimmicks. It makes the process super simple for me, even though I’m not thrilled to be teaching math. Right now, we’re about halfway through Level 2 book, with an eye toward Level 3 around Christmas or so. One of my very favorite parts of the Memoria Press Curriculum is the Enrichment Guides. These guides spotlight some of the very best children’s literature and work in related art, music, science, social studies, history and crafts. This is our core for Morning Time. Instead of starting the day off with math or Latin, we gather in the living room together for our read aloud. Depending on the day of the week, we may discuss a piece of art, music, or learn a little about science. My childrens’ favorite day? Whichever one involves crafts. If you have children in multiple grade levels (called Cores with Memoria Press), DO NOT stress yourself out trying to do ALL the enrichment for all the different grade levels. You’ll make yourself insane. Instead, think of the enrichment as a 3 year cycle. 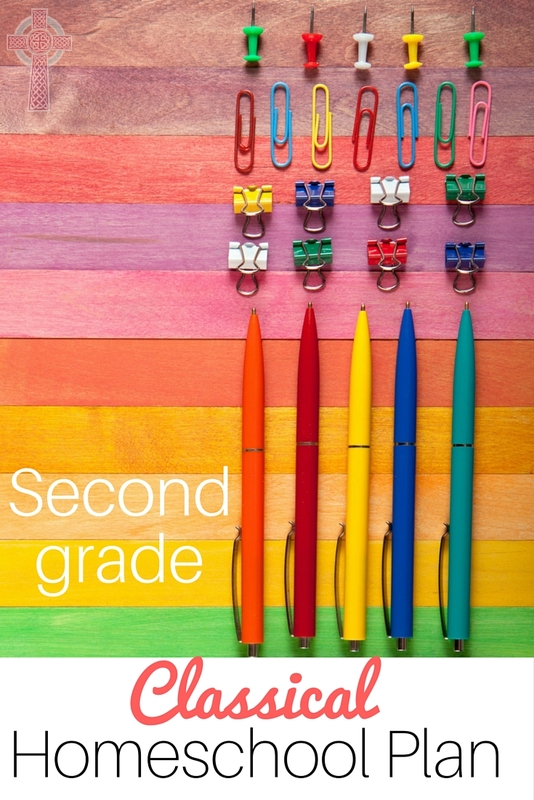 You’ll find enrichment guides for Kindergarten, First Grade and Second Grade. Pick ONE year and use it for all of your children. Your older children will still enjoy the picture books – trust me. Next year, go to the next level, and so on. When your younger children cycle back through, these books will be old favorites, and you can dive in deeper. Don’t miss Fifth Grade, as well as our plans for Preschool and Junior Kindergarten later this week. I love the Enrichment Guides, too! I so agree that they appeal to a much broader range than what’s listed on the cover.